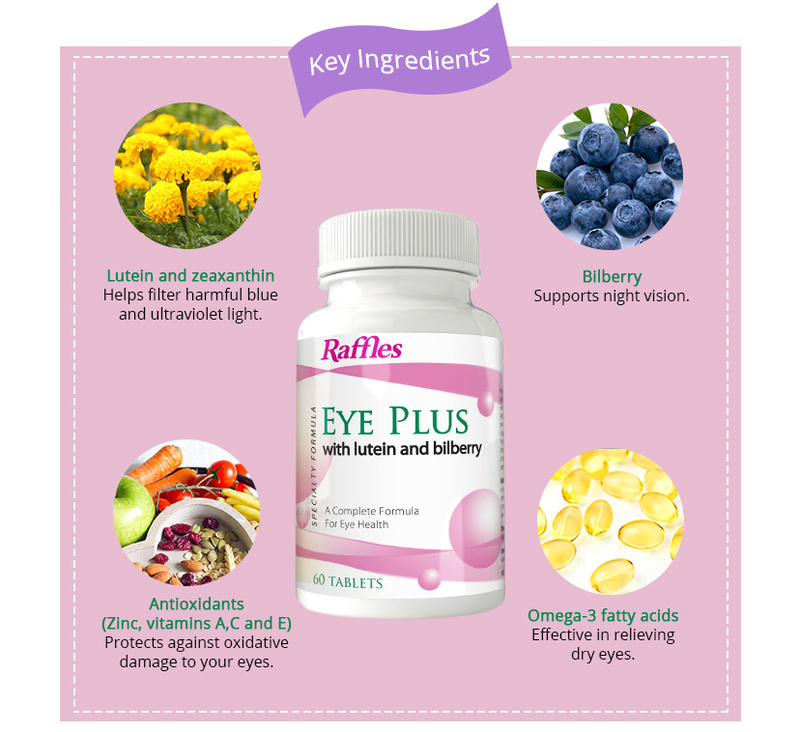 A complete formula for eye health. 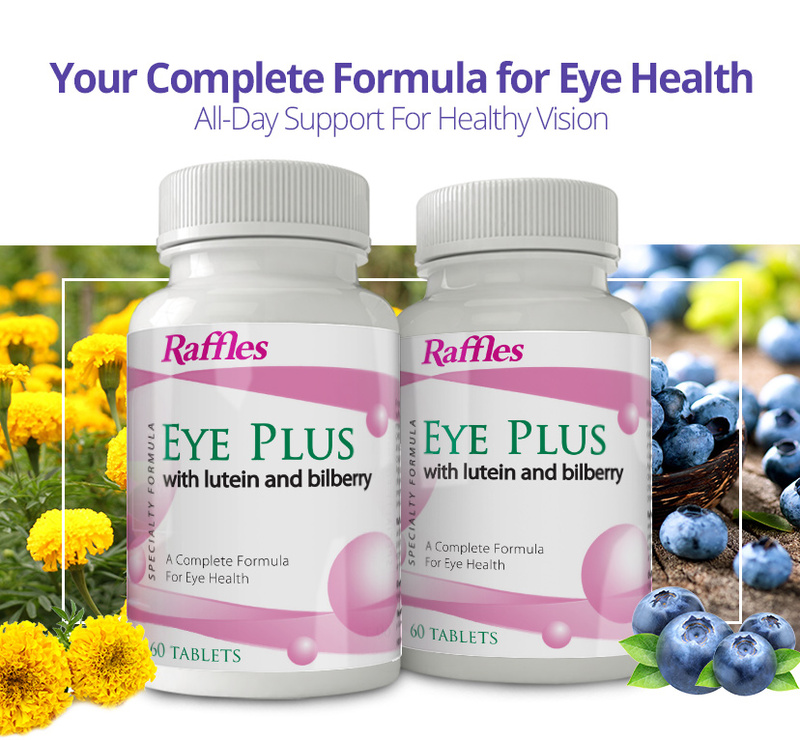 A comprehensive formula containing vitamins, minerals and herbal supplements such as lutein that are essential for healthy vision. Proper eye care includes a healthy diet containing sufficient amounts of vitamins and minerals. A large research trial called the Age-Related Eye Disease Study (AREDS) has shown that high quantities of the antioxidant vitamins A, C, E and the minerals zinc and copper could help to slow down the progression of Age-Related Macular Degeneration (AMD). Macular degeneration is a condition where there is a progressive visual loss and this usually manifests in people aged 60 years and above. 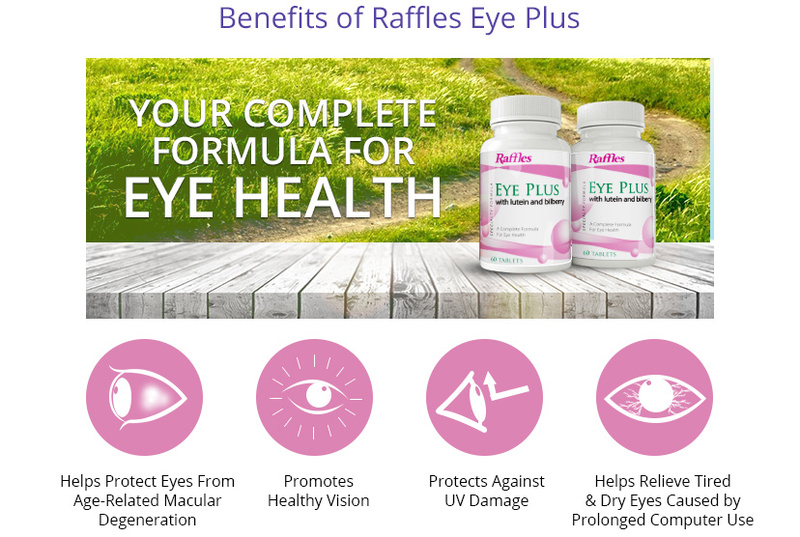 Raffles Eye Plus is formulated closely to the AREDS and contains necessary antioxidant vitamins that helps prevent or slow down the progression of AMD. 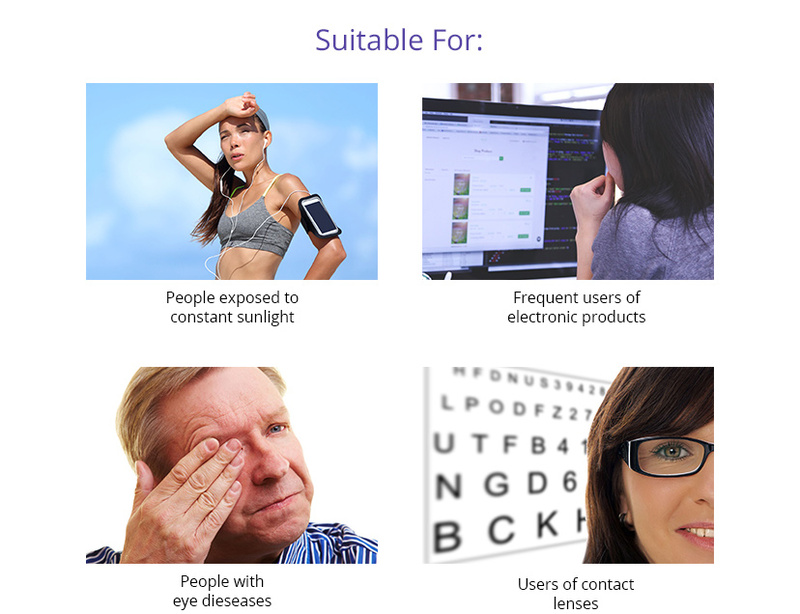 Its comprehensive formula also assists in visual function and provides relief for tired eyes and eyestrain. Other Ingredients: Selenium, Copper, Eyebright, Enzyme blend of amylase, cellulase, bromelian, lipase, papain; Lutein Esters, Astaxanthin Calcium Carbonate, Microcrystalline Cellulose, Tricalcium Phosphate, Vegetable Stearic Acid, Croscarmellose Sodium, Silicon Dioxide, Vegetable Magnesium Stearate, Gum Arabic, Peppermint Oil. Directions For adults, as a dietary supplement, take two (2) tablets daily preferably with a meal. For adults, as a dietary supplement, take two (2) tablets daily preferably with a meal. Calcium Carbonate, Microcrystalline Cellulose, Tricalcium Phosphate, Vegetable Stearic Acid, Croscarmellose Sodium, Silicon Dioxide, Vegetable Magnesium Stearate, Gum Arabic, Peppermint Oil.